UPDATE: Tiger Woods has released a statement regarding his arrest and blames a reaction to medication. He says alcohol was not involved. Woods said, "I understand the severity of what I did and I take full responsibility for my actions. I want the public to know that alcohol was not involved. What happened was an unexpected reaction to prescribed medications. I didn't realize the mix of medications had affected me so strongly. I would like to apologize with all my heart to my family, friends and the fans. I expect more from myself too. I will do everything in my power to ensure this never happens again. I fully cooperated with law enforcement, and I would like to personally thank the representatives of the Jupiter Police Department and the Palm Beach County Sheriff's office for their professionalism." 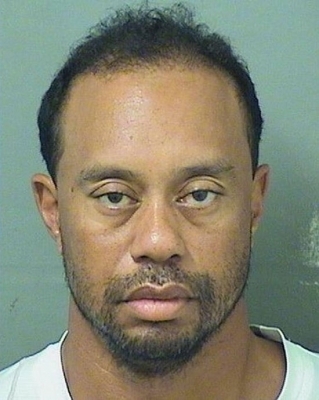 UPDATE: According to the arrest report, Tiger Woods was found asleep at the wheel on the side of the road. His 2015 Mercedes-Benz was running. The brake lights were on and his right turn signal was blinking. Woods was by himself and wearing a seatbelt. There was no crash or other damage. His Breathalyzer test was 0.000. A Wawa was robbed last night as the clerk was closing the store. It happened at midnight Monday on the 600 block of Harbison Avenue in the Wissinoming section of Philadelphia. The suspect entered the store, walked right behind the counter, and picked up two cardboard boxes containing cartons of cigarettes. The clerk told the man he wasn't allowed back there, but the suspect indicated he had a gun. He left with the two boxes. The man is described as a white male, 35-45 years old, standing 5'8" tall with a thin build. He was wearing a green jacket over a blue hooded sweat shirt, gray winter cap and dark pants. A man is injured and his attacker is dead after the victim fought back a stabbing attack Sunday night in Kensington. It happened at 9:30 p.m. on the 3400 block of Frankford Avenue near Ontario Street. The 57-year-old victim was in bed when the attacker entered his room and began hitting him with a bookend. The suspect left and returned with several knives and began to stab the victim. The victim was able to get a hold of one of the knives and stab the suspect in the chest. He then fled the apartment and called police. Officers found the 47-year-old suspect dead in the bathroom. The victim was taken to Temple University Hospital in critical condition. The incident is still under investigation.